With the new Spaziergang EP Tobias Sandmann takes us on two very different walks. Dark soundscapes and piano parts join us on a Stadtspaziergang (city walk) in the evening, leading the listeners through acoustic play grounds, abandoned hallways of industry ruins and moisty subways with flashing lighting and water dripping from every crack in the ceiling. Its an urban deeptech house movie happening right in your head. 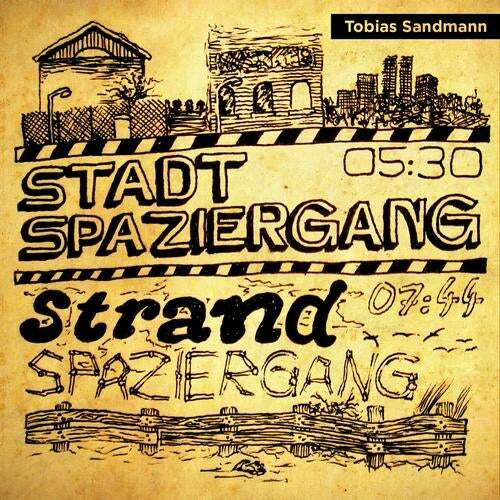 The Strandspaziergang (beach walk) makes you rather dance or jog than just walk because some progressive drums and rhythmicly cutted vocals let the border between tech house and techno vanish like a wave does to footprints in the sand. This track goes forward from the first till the very last minute so you wanna shake it in your Speedo and book you next summer vacation right now.